STAND a CHANCE TO WIN N5,000 WEEKLY for making relevant comments and sharing articles/posts of MedicalNigeria.com to Facebook, Twitter and your Whatsapp! Drop your comments and share the posts you just read to Qualify! Winners would be contacted every Sunday evening at 7PM. 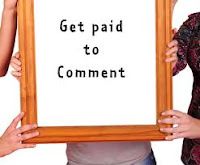 Enter Your RELEVANT Comments Now! (input your valid email id at the end of your comments). Really? This is mind blowing. This is a great way to reward readers like us who like MedicalNigeria.